Welcome to our first blog! We are so excited to be relaunching our site, and I figured while we were at it why not blog about some of our favorite things every month? Since many of you reading this are probably new friends, I’d love to introduce myself (and the store) to you! I’m Allison, owner of hazel + dot. Ever since I was a pretty little gal I spent my summers in Beaufort, North Carolina (which for those of you more familiar with it’s South Carolina cousin is actually pronounced BOW-fort) with family. It was a pretty perfect way to spend the summers, most of my time being spent with my grandma Dot and her sister, my great aunt Hazel. Both Dot and Hazel were avid antique collectors, and my very favorite part of each week were the two days I was able to join them in their antique shops for "work". If we're being honest I mostly snacked on Lance peanut butter crackers and picked out treasures to buy for myself, but whether I realized it at the time or not the retail bug had definitely taken a hold of me. when it came time to declare a major at Florida State i never had any doubts about what to do. I knew eventually I wanted to own a store so I majored in fashion merchandising, which led to a fifteen year career in the retail industry. from my visual merchandising days at Talbots in boston to buying skincare at hsn in st. pete, I was able to build a strong foundation that eventually lead me to my lifelong dream. when I sat down with my business mentor (aka my dad) I realized that even though much of my career had been spent in the fashion and beauty industry, a gift shop with a local focus would be a welcome addition to our already amazing community of local boutiques. Hazel and Dot were also the most amazing hostesses. Whatever the occasion they had the perfect decor, menu, and that perfect gift on hand. When you were invited to an event in their homes you were treated like family, always welcomed with a warm southern hello and a big ol' hug, so when I was thinking of a name for my little shop they naturally came to mind! Our goal for hazel + dot, whether you're shopping with us in our flagship store in South Tampa, our outpost at the Haute Shop Lutz, or on our website is that you not only leave with the perfect gift, but that you feel like you're part of the family. if you've shopped with us in-store it's very likely that you actually have met my family. My mom beth works in the store regularly, and if you've ever bumped into a sweet Irishman hauling boxes to and fro you've met my dad too! While we've grown over the years to include an incredible group of employees who I lovingly refer to as friendployees for obvious reasons, we strive to keep the close-knit family feel. 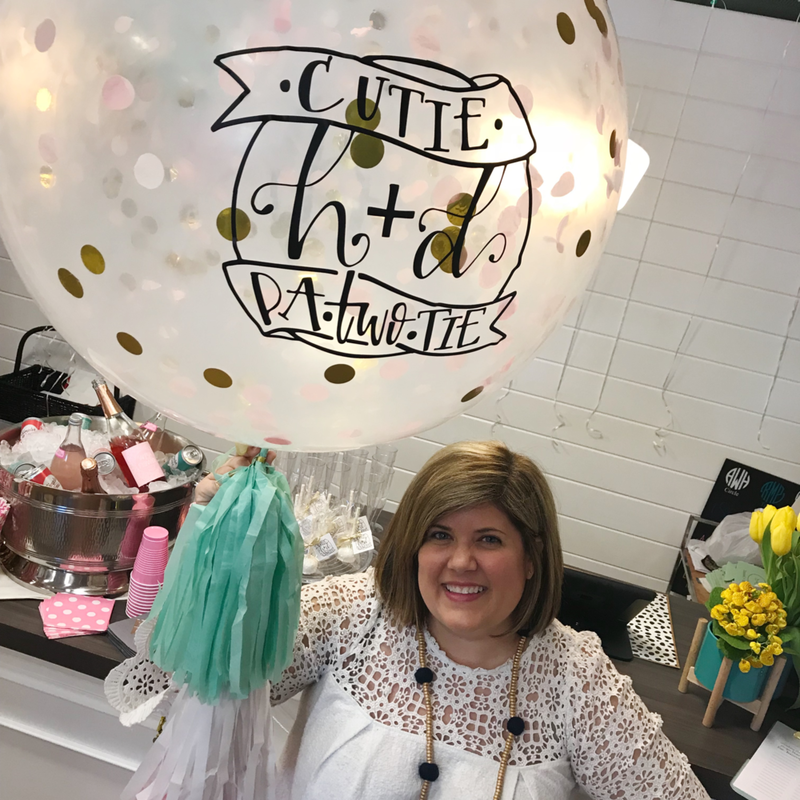 we are so lucky to have gotten to know those of you who have shopped with us from the beginning, and we can't wait to welcome more friends into the h+d family! Happy shopping!